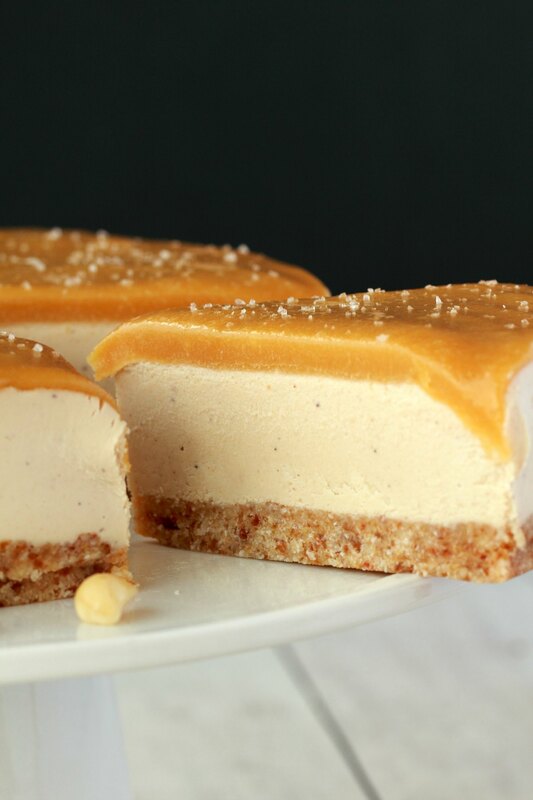 Vegan cheesecake with a salted caramel fudge sauce topping! 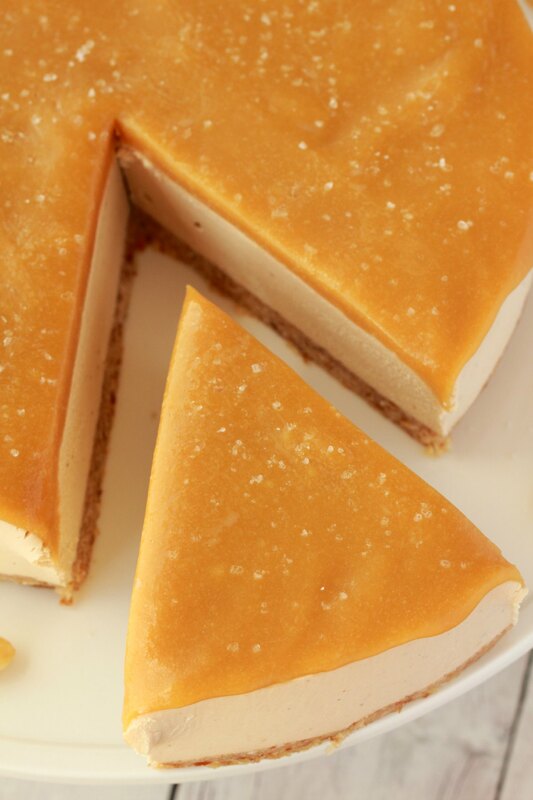 This ultra creamy cheesecake is so much like the ‘real thing’ you will hardly believe it. 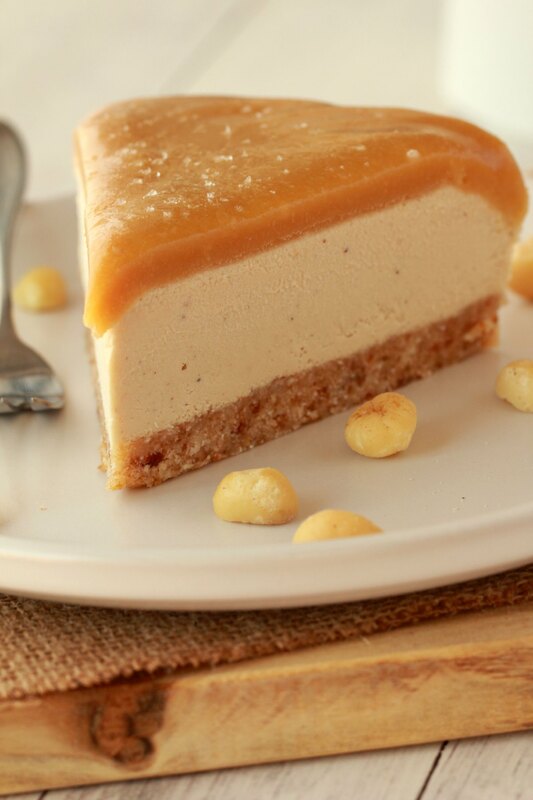 I am so excited to share this recipe for vegan cheesecake with you! It is so good, sensational really! Topped with a salted caramel fudge sauce and some sprinkled sea salt it is the perfect contrast of salty and sweet with creamy and smooth! 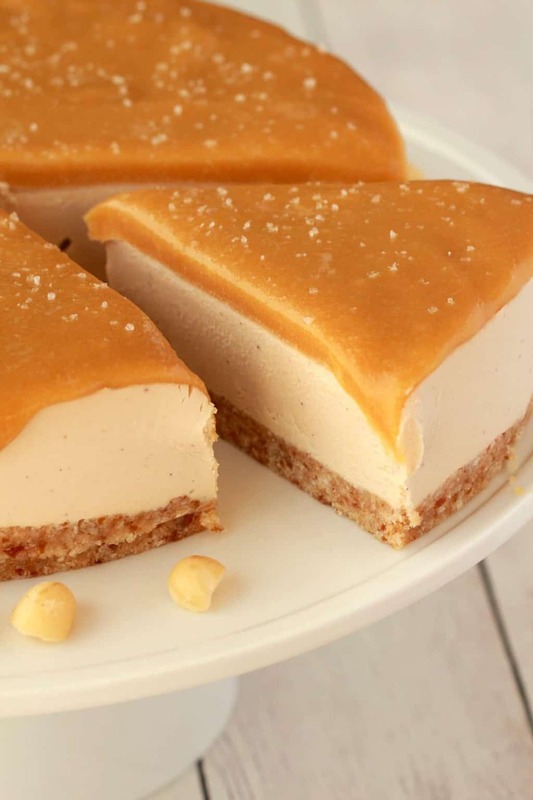 This vegan cheesecake is definitely not my first go at making vegan cheesecakes! 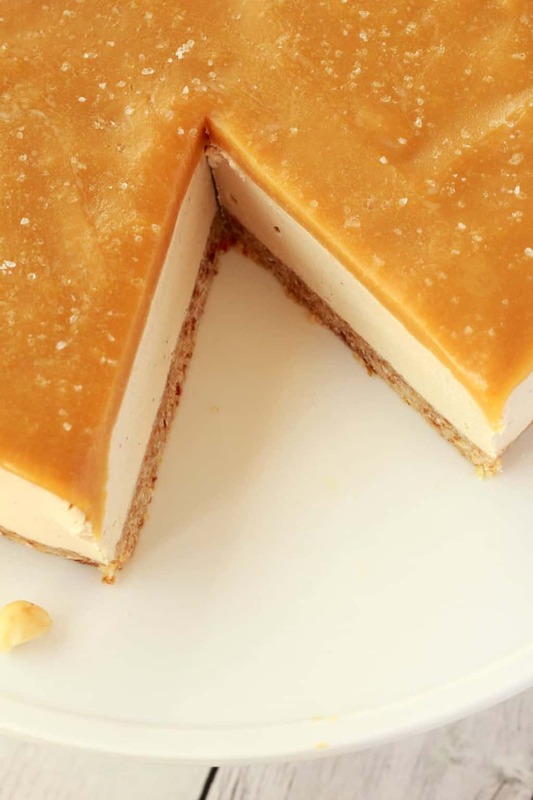 From the first time I made a vegan cheesecake (in around 2009) I fell totally in love, because honestly it’s better than the ‘real thing’. The only caveat? It’s a little pricey. Especially when I made the topping out of coconut butter and maple syrup! So it’s probably not what you’re going to make every other week but it’s rich as heck so that’s another reason you’re probably not going to make it every other week. Full instructions are in the recipe card below, this is just a summary of the process. Spray an 8-inch round springform pan with non-stick spray and line the bottom with parchment paper. Set aside. Add macadamia nuts, pitted dates and dessicated coconut to a food processor and process into a sticky dough. Place into the prepared springform pan and press down firmly into a pie crust. Place into the freezer to set while you work on the filling. Add soaked cashew nuts to a blender jug along with water, maple syrup, melted coconut oil, lemon juice and vanilla and blend until very smooth. Pour this out over the top of the crust in the springform pan and smooth down with the back of a spoon. Place into the freezer to set (around 4-6 hours). 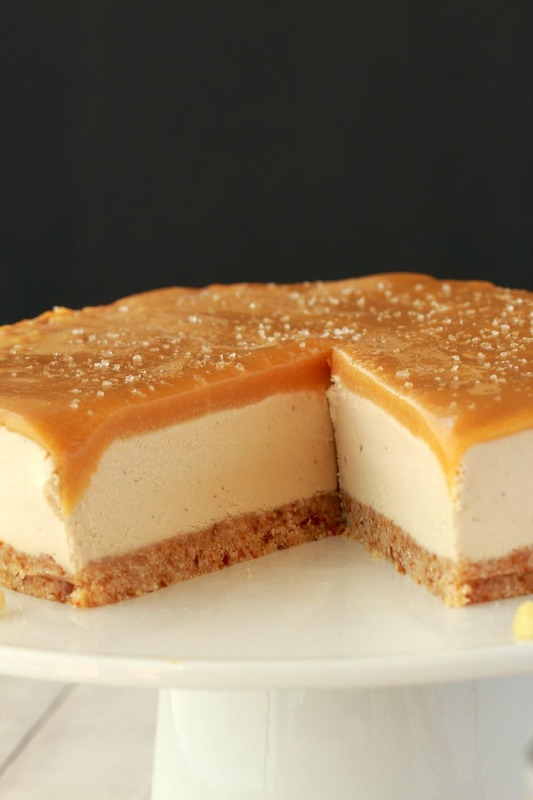 When the cheesecake has set completely, remove it from the springform pan and place onto a cake stand while you prepare your salted caramel topping. I was at first going to make a vegan dulce de leche for the topping, but at the last minute, had a change of heart. 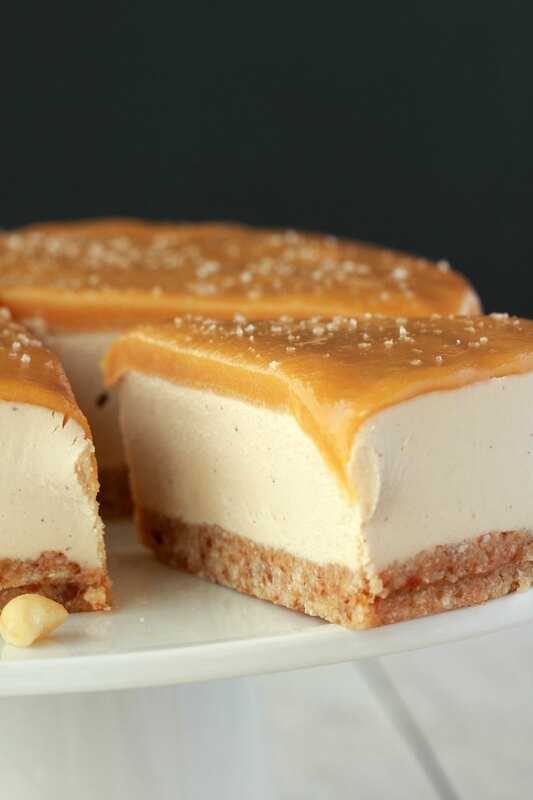 I was thinking, why cook a topping when you’ve got this whole no-bake/raw dessert thing going on, why go and stand over a hot stove just for the sauce? So I decided on a salted caramel fudge topping made from coconut butter, maple syrup, vanilla extract and sea salt and it turned out to be the perfect topping. 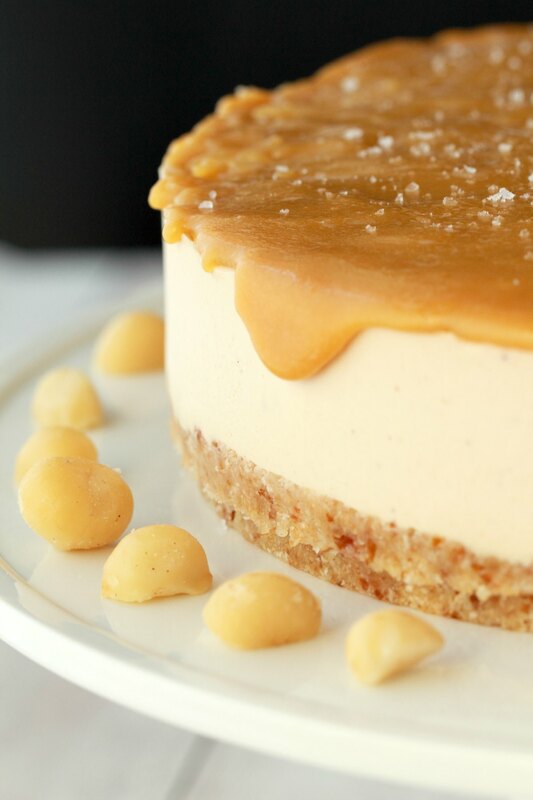 With a few more sprinkles of salt over the top and a few macadamia nuts to decorate you have the perfect cheesecake. Let it thaw on the countertop for around 30 minutes or so before serving. I did soak my cashew nuts for this pie, in fact I soaked them overnight. 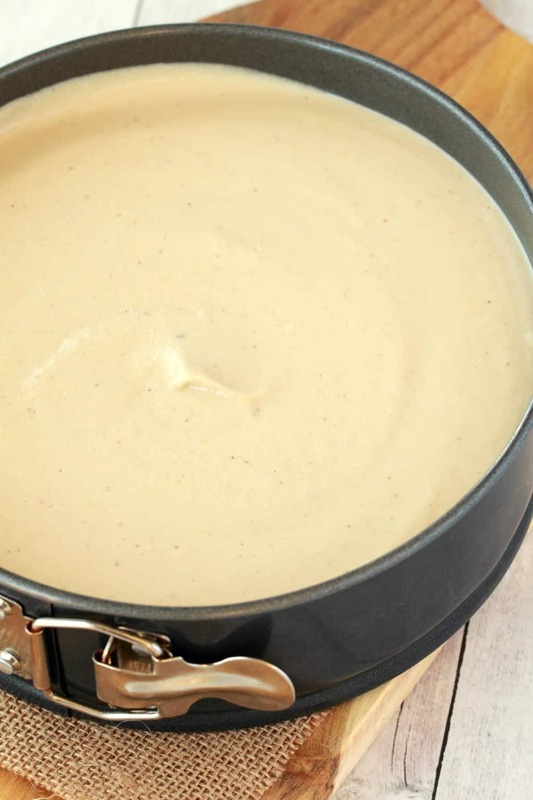 I have discussed in other recipes whether I think it’s important to soak cashews first or not and the jury is still out on that one for me, but for this recipe it’s definitely important. Reason being, you use a ton of cashews for this filling, once all your filling ingredients are in the blender jug your blender will be almost 2/3rds or even 3/4 of the way full. It would be very tough for a blender to handle that much volume unless it’s an easy blend. So make it as easy as possible. If you happen to forget to soak them, then all is not lost. Soak them in boiling water from the kettle until as soft as possible – it’s probably best to let them soak for up to an hour for this recipe, just because of the volume of it that you need to blend. Can I use a different kind of nut other than macadamias for the pie crust? Yes! Walnuts also work extremely well for this too. Walnuts or macadamias are my usual favorites for a nut/date crust, but nut/date crusts are actually really flexible and forgiving, you can try other nuts or a combination of nuts and it will usually work. Can I leave out the coconut in the pie crust? Yes you can! I like it because it creates delicious flavor and texture but I have definitely made pie crusts without coconut, you can simply leave it out or add more nuts to compensate. What can I use instead of coconut butter? Coconut butter is really the key ingredient in this caramel sauce. And just to be clear it’s nothing like any other nut butter and it’s also nothing like vegan butter. So you can’t switch it for either of those. If you can’t get coconut butter, you could switch the topping to something else completely, or you could make your own coconut butter from dessicated coconut. The hands on time for this recipe is actually really short, a bit of processing, a bit of blending, a bit of stirring, really it’s too easy! The time consuming part is waiting for it to set, which takes quite a few hours in the freezer, and you need it to set completely before you remove it from the spring form pan. So you need a bit of patience with this pie, but otherwise it’s really easy and fun. So much like the ‘real thing’ you will not believe! Keep it stored in the refrigerator and serve it cold straight from the fridge or in the freezer, in which case you will need to let it thaw at room temperature before serving. 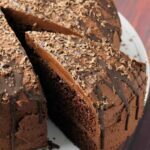 More delicious no-bake vegan desserts! 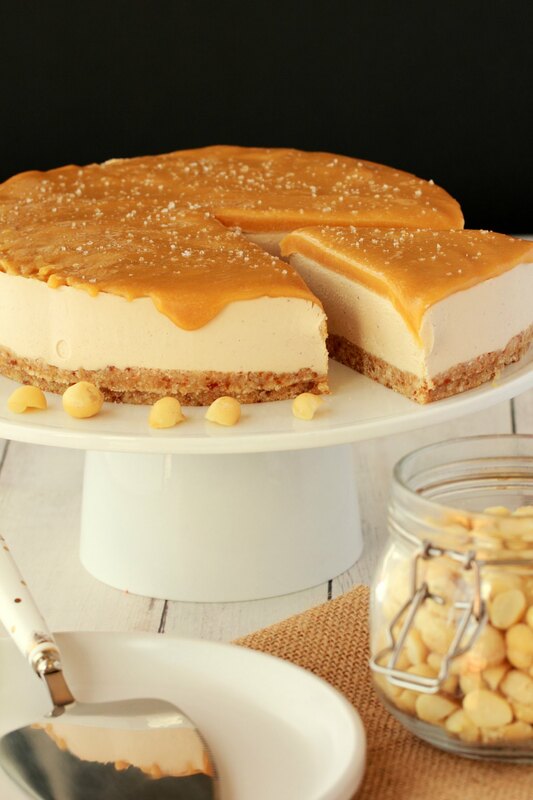 What do you think of this vegan cheesecake with salted caramel fudge sauce? Going to give it a try? Let us know in the comments and please do rate the recipe too, thank you so much! Sign up to our email list for a fabulous and free recipe ebook and to be the first to know when new recipes are posted to the blog! 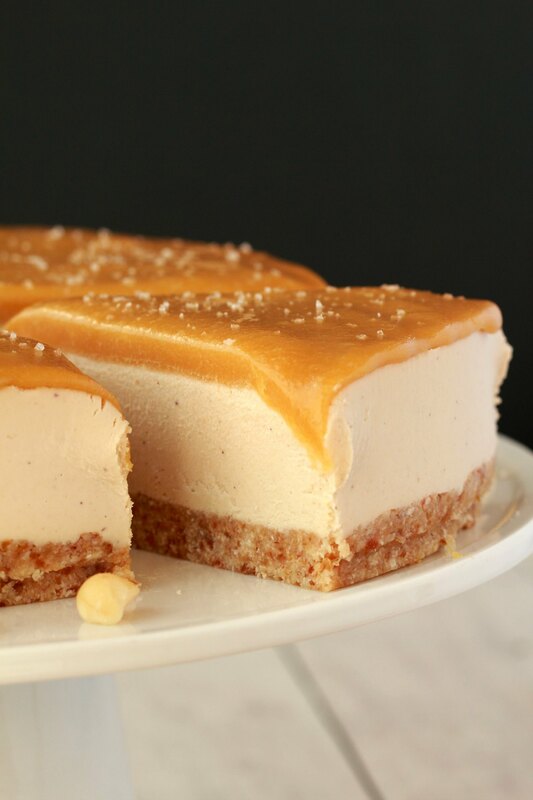 Vegan cheesecake with a salted caramel fudge sauce topping! 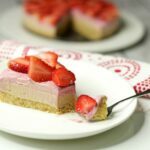 This ultra creamy cheesecake is so much like the ‘real thing’ you will not believe and it’s super easy to make too! 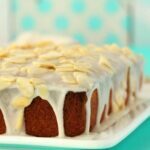 Raw and Gluten-Free! Spray an 8 inch round springform pan with non-stick spray and line the bottom with parchment paper. Set aside. Add the macadamia nuts, pitted dates and dried dessicated coconut to the food processor and process until it starts to form into a sticky dough. It will start off crumbly, keep going until it starts to clump together in sticky clumps. Transfer to the springform pan and smooth it down into a pie crust. Use the back of a spoon to press it down into a neat flat layer. Place into the freezer to set. Take your soaked and rinsed cashew nuts and place them into the blender jug. Add the water, maple syrup, melted coconut oil, lemon juice and vanilla extract and then blend everything together until very smooth. Stop and give your blender a break as needed as this is a lot of volume to blend up. Pour this over the macadamia crust and smooth down with the back of a spoon. Return to the freezer to set completely – about 4-6 hours. When the cheesecake has completely set, remove it from the springform pan and put it onto a cake stand to do your topping. 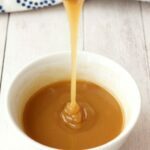 Add the melted coconut butter, maple syrup, vanilla extract and sea salt into a bowl and stir it together into a caramel sauce. 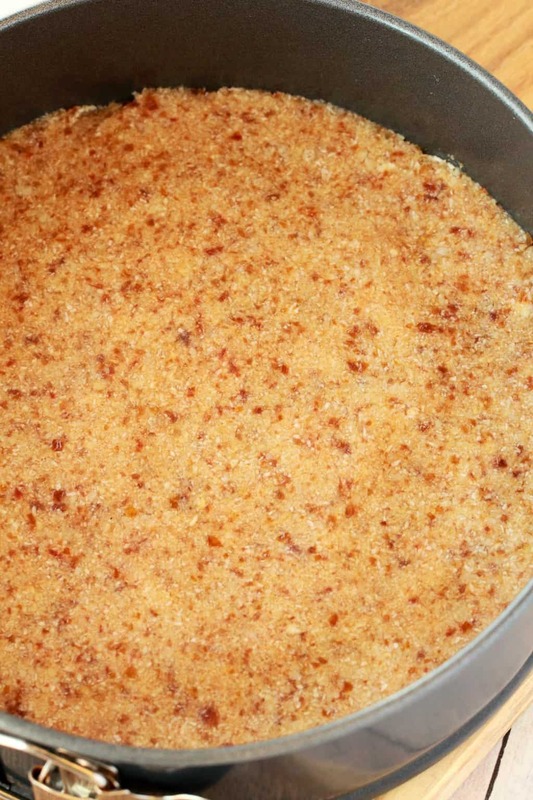 Spread this out over the top of the cheesecake, working quickly, as the sauce thickens and sets quite fast when in contact with the cold cheesecake. 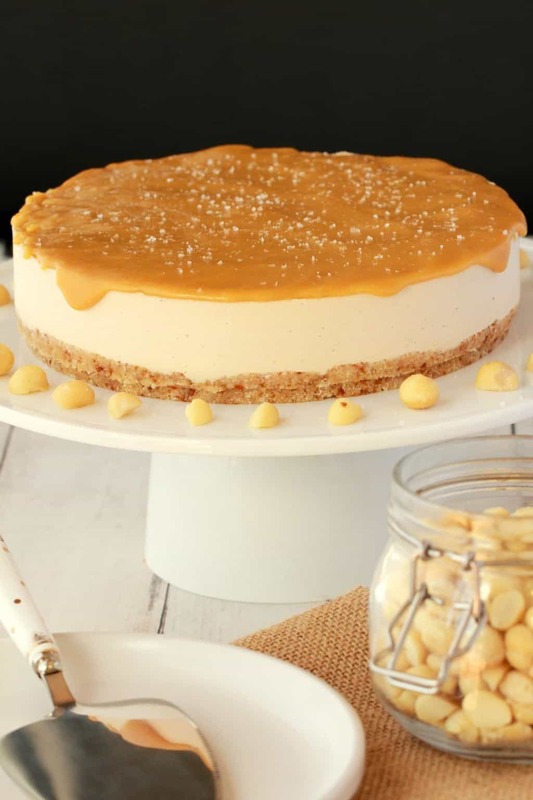 Decorate the cheesecake with sprinkles of sea salt and some macadamia nuts. 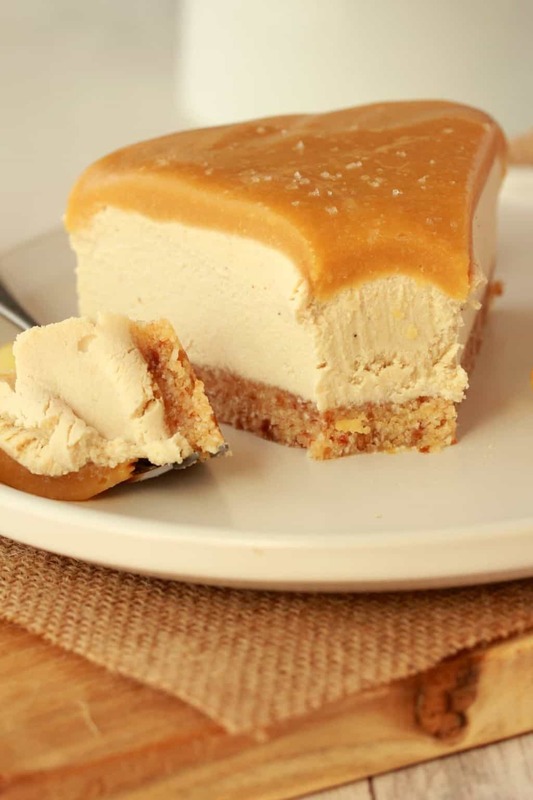 Allow the cheesecake to thaw at room temperature for at least 30 minutes before serving. 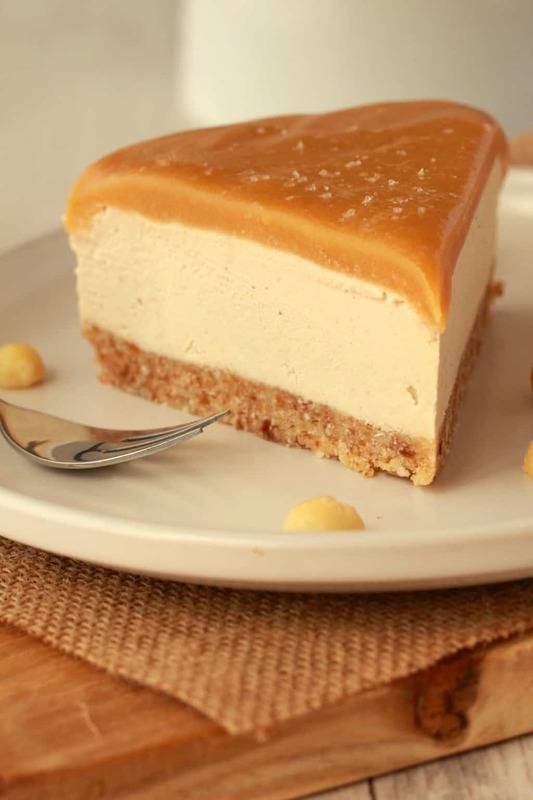 Once the cheesecake is thawed, keep it stored in the refrigerator or freezer*. *Half a cup of medjool dates (packed) is approximately 10 pitted medjool dates. *The topping must be made with coconut butter and not coconut oil. If you can’t easily find coconut butter you can also make your own. It’s super easy and fun to make. 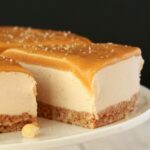 *If you know when you’re going to be serving this cheesecake, you can keep it in the freezer until you need to serve it and then let it thaw at room temperature and serve. 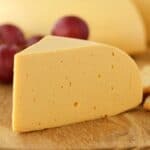 From then on, if stored in the refrigerator, the texture can become a little softer, so you might prefer to let it firm up in the freezer again before serving. REALLY LOVE IT! Made it for Christmas and everybody was delighted- will make it again and again and again… THANK YOU! Thank you for this recipe! I want to try it, but my son is very allergic to coconut. Is there an alternative that could replace the coconut oil and butter? He’s also allergic to peanuts and almonds. Thank you! 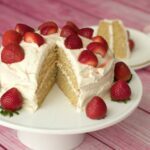 Is it possible to use coconut cream in place of the water in this recipe? Hi Wendy Wright—What a coincidence to see you made this recipe too! Does seem like something we’d make at Camp Blackhawk! Sorry, gibt es dieses Rezept auch auf deutsch? I should have read the comments :-D. Coconut oil and vegan butter do NOT work. LOL! Still tastes good. But: my cashew creme didn’t really set and I let it set overnight. The cake tastes great but looks awful. Any tipps on how to get it more dense / set better? This sounds amazing! I am trying to avoid oil. 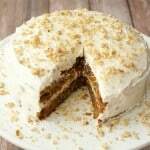 Would it work to use coconut butter in place of the oil in the filling? Cred ca este delicios !! Am sa l incerc .multumesc. Thank you for this recipe! It came out beautifully and delish!! Made this for my husband’s birthday today and it was amazing! Approved by our 7 and 9 year old kids too! My caramel was pretty blond. Perhaps not enough syrup??? This looks like a lot of fun! Just a quick question about the crust. Does it have to us macadamia nuts or can we use a different nut? The person we are making the cheesecake for can’t have salt in her diet and it’s hard to find unsalted macadamia nuts where we live. 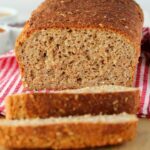 What can i use in place of coconut oil as i’m allergic to it and coconut butter for this recipe? I used almonds instead of macadamia nuts. This is my husbands new favourite dessert. My son had a few pieces too and loved it. Hi. Looking forward to trying this, thanks for sharing. One question would a normal biscuit base work? Keeping it vegan with milk free biscuits and dairy free butter? Very excited to make this for a family event, but there’s a couple people allergic to macadamia nuts. Would any nut work for the crust instead, or it there a certain one that would be best? Hi. I’m the girl who always makes cake or sweets for EVERY possible occasion. 😀 – now, I’ve gotten into a group of friends where one of the girls are allergic to a LOT of things, but I refuse to let that stop me from doing what I love, and she deserves cake too! 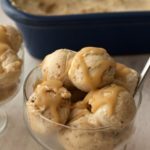 This recipe looks promising, but can I switch the dates out with anything else? Any coconut product or maybe a thick syrup? Is there a substitute for dessicated coconut? Pulsed unsweetened coconut flakes? Hi Catherine! I’m sure that would work!